“Let me tell you, this food group is falling apart,” Eugene spewed. He was hot. He was irate. The scowl on his face was blood red. 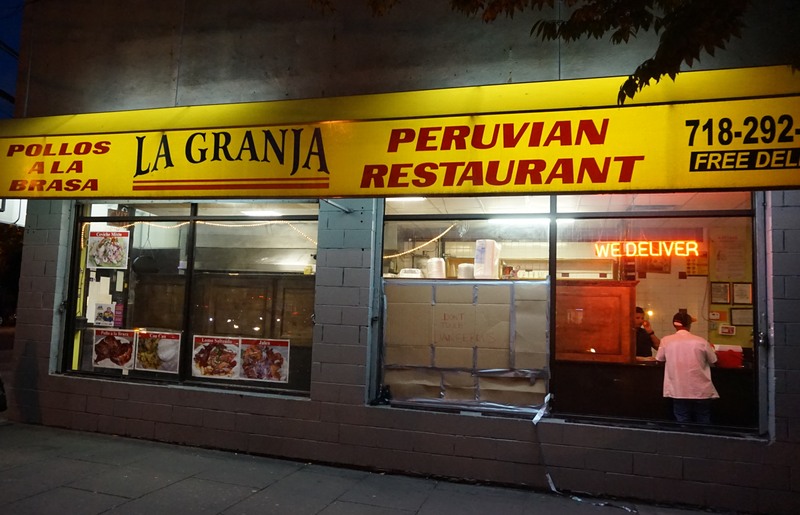 Zio, Eugene and I were seated at a table for four at La Granja, the Peruvian restaurant I choose on 149th Street in the Bronx. 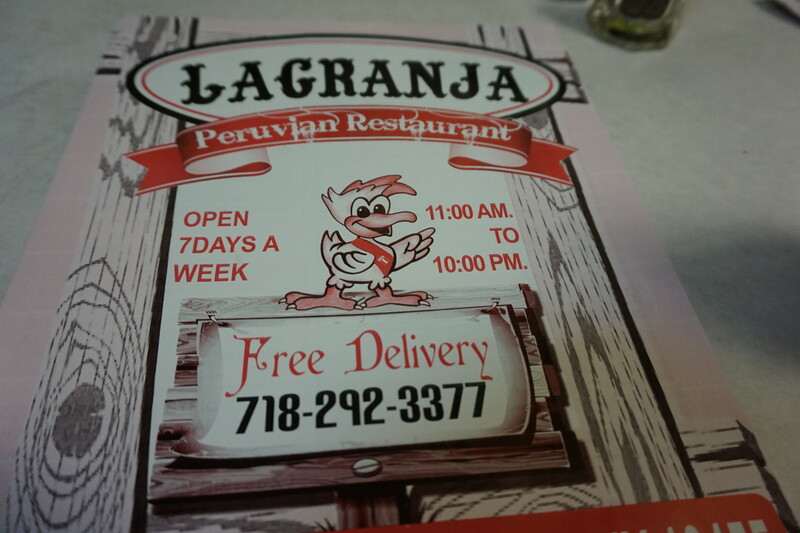 The enticing aroma of chickens slowly rotating on a rotisserie filled the small restaurant. I had just received a text from Gerry that he would be late; that he was just leaving White Plains thus igniting Eugene’s tirade. To get Eugene out of his funk, we wasted no time ordering a round of Cusquenas, Peruvian beers, and then proceeded promptly to the food. Eugene inquired about the “chicken in the window” to our happy waiter. He wasn’t sure what chicken Eugene was referring to, but assumed it must be the Pollo a la Brasa, the restaurant’s signature dish and whose aroma we were inhaling. Despite the waiter’s insistence that he would not go wrong by ordering it, Eugene instead focused on the “bird” section on the menu where he chose the pollo salteado. 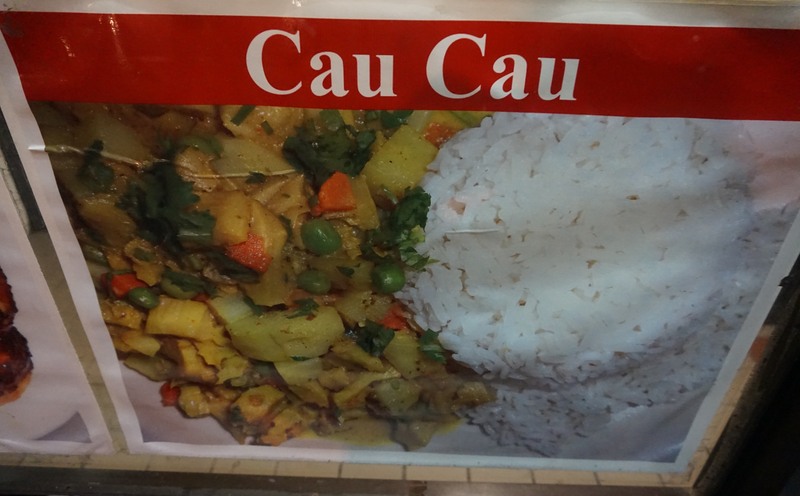 “What is cau cau,” I asked the waiter. There was a photo of the dish in the window of the restaurant, but I could not identify it. Smiling once again, the waiter, who could not translate what it was, rubbed his belly. “Stomach?” I guessed in this game of charades. “I think he means tripe,” I said. “Ah, trippa,” Zio intoned rhapsodically. 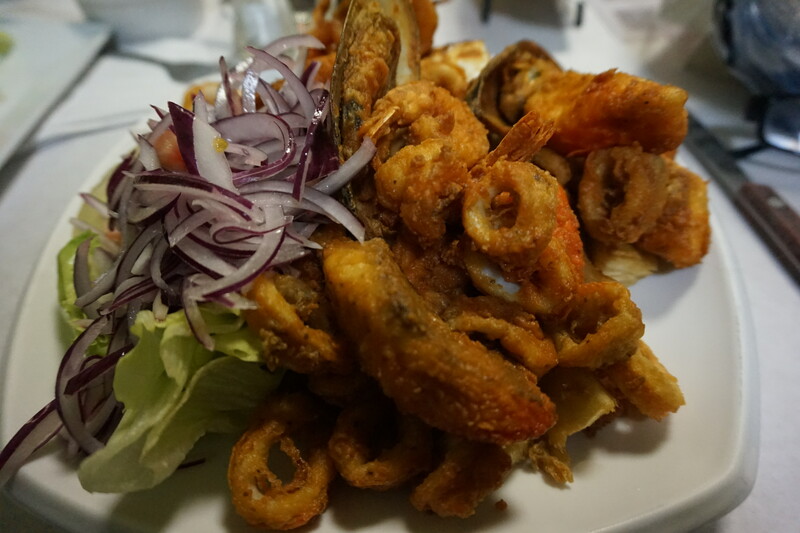 “No,” he said without hesitation, instead pointing to the arroz con mariscos (yellow rice with seafood) while I chose the jalea personal as opposed to the jalea familiar which translated to a mountain of fried seafood enough for a familia.. Does that look like “stomach” to you? 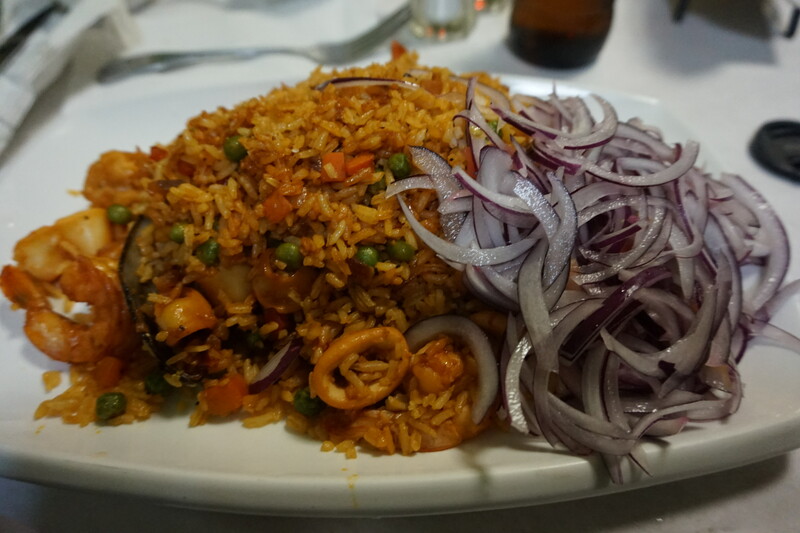 For starters we ordered the palta rellena, a whole avocado stuffed with chicken, but our starter arrived well after Eugene’s pollo salteado, Zio’s arroz con mariscos and just in time for Gerry’s arrival. Quickly ordering the ceviche mixto, Gerry was able to share the avocado that was stuffed with nothing more than chicken salad. The Jalea Personal, accompanied by the house made hot sauce, though not a mountain was a big enough hill of crisply fried shrimp, squid, fish, and mussels for me to slowly shovel through, pausing only to remove the fibrous strings in the fried yucca that was part of the mound on my plate. Turning to my left, I noticed Zio, head down, plowing methodically through his yellow rice and seafood, pausing occasionally to wipe the grease from his hands. Across the table we knew Eugene, after filling up on his ample plate of pollo salteado, was in a better mood when he teased the trio of Yankee fans at the table about their quick demise in the playoffs. Fearing a return of his dark mood, we took Eugene’s ribbing graciously and didn’t dare mention that his Red Sox had once again finished in the cellar of the American League East. Gerry’s ceviche arrived last, but after a sample bite, it was certainly not least. Topped by strands of seaweed, the “cooked” raw fish was swimming in lime and cilantro and sprinkled with hidden bits of hot pepper that had Gerry guzzling his Cusquena. 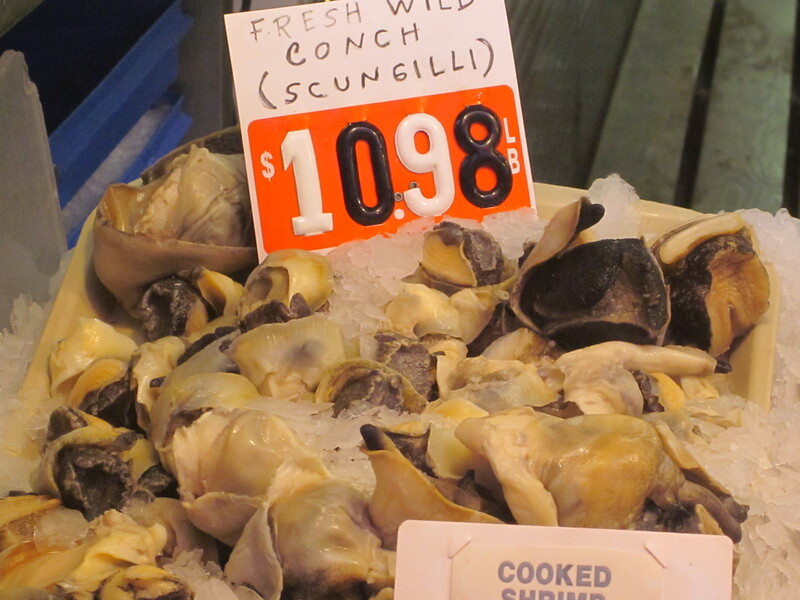 Despite the abundance of seafood we devoured, we came in very close to our $20 budget. And after paying we conferred on our next date. When notified of that date Rick responded in an email: “I will endeavor not to be thrown overboard the righted ship,” which, speaking only for myself, did wonders in reinforcing his commitment to our monthly gluttony and its future prospects. On the other hand, Mike from Yonkers’ “Business should be slowed down by then,” just did not have the same effect. Eugene, Mike from Yonkers, Gerry and I were gathered around the bar in the adjoining cluttered dining room of the mostly take-out, Jamaican fish joint, the Dumplin Shop. 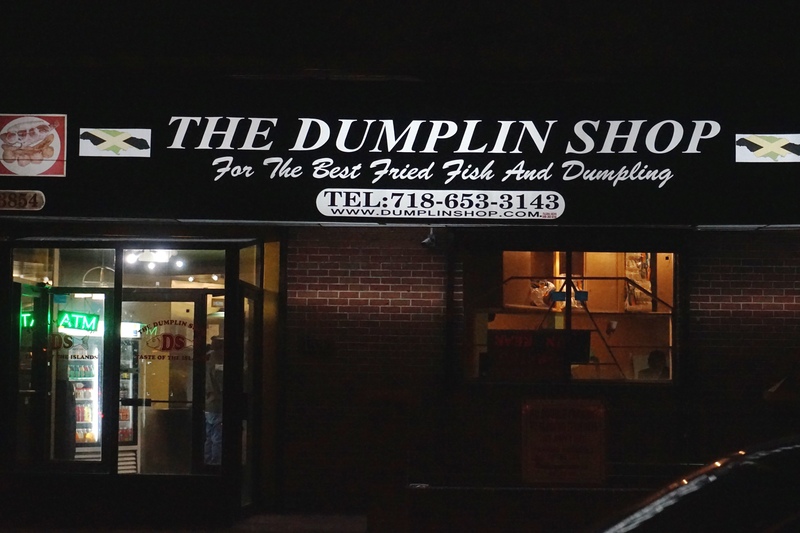 Located just off the entrance to the New England Thruway in the Baychester section of the Bronx, the Dumplin Shop was an oasis in an otherwise food challenged wasteland. Each of us was nursing cold beers as we waited for Zio’s arrival to complete our party and proceed in ordering. 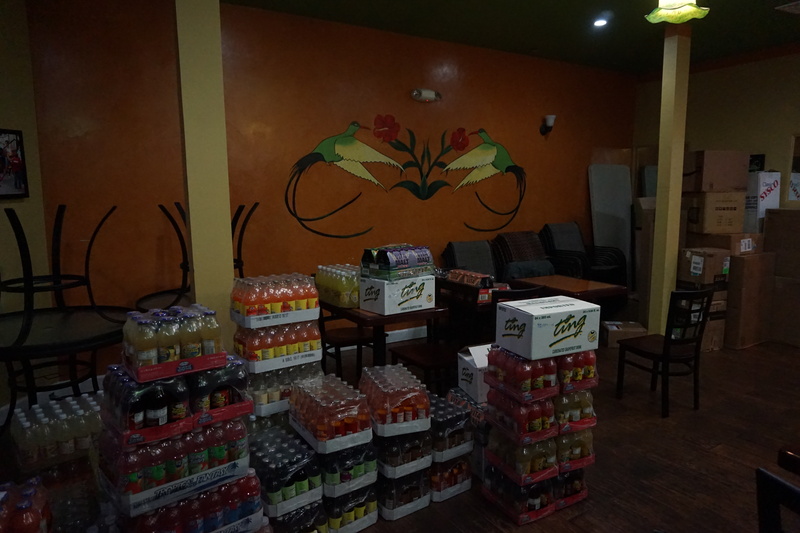 Plenty of beverage choices in the dining room of the Dumplin Shop. While Eugene was happily informing us of all the snowstorms he would be missing during his impending annual Punta Cana all-inclusive escape, my cell phone buzzed with a text from Zio. “I am still on the #5 stagecoach but I am coming,” he wrote. Why is he taking a train all the way from Astoria we all wondered? Why didn’t he drive? “You are insane,” I replied tersely. “Next stop is 219th St,” he replied. That would be the stop he needed to get off and then walk the few blocks to 222nd Street and the restaurant. My phone buzzed. “Now 233rd.” It read. “That’s it. We’re eating.” Eugene pronounced as he made his way into the take-out part of the restaurant. “Can I at least blame the Colonel,” I texted to Zio as we got in line at the counter. “Of course, she took the car,” he quickly responded. The woman behind the counter explained that at a restaurant called the Dumplin Shop they were out of dumplings…at least the boiled variety. They were also out of ackee and saltfish. And callaloo and saltfish. And the fish soup was gone too. Some of what was left at the Dumplin Shop. Still, they had snapper. They had porgy. They had oxtails if we wanted them— and chicken in brown gravy too. I ordered the porgy with rice and peas while Mike from Yonkers and Eugene opted for snapper. 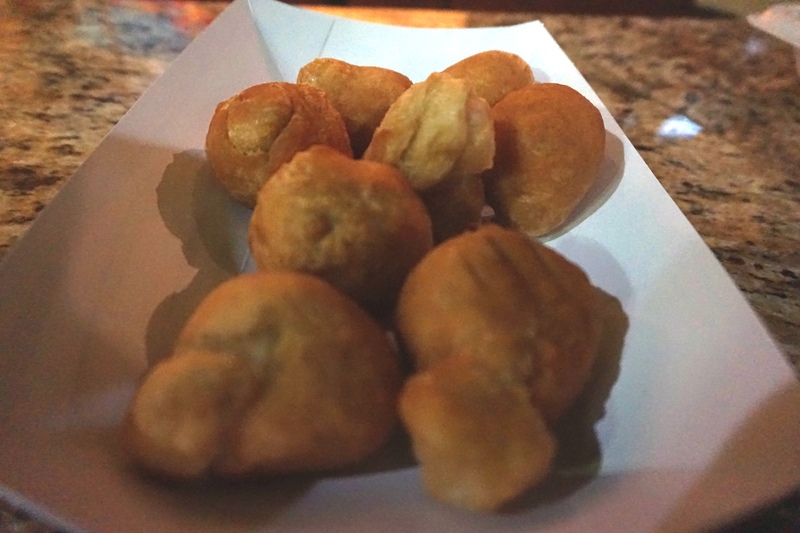 Gerry sweet-talked his way into a side of callaloo and we asked for a side of (fried) dumplings for the table. We went back to the bar and our beers to wait for the food. 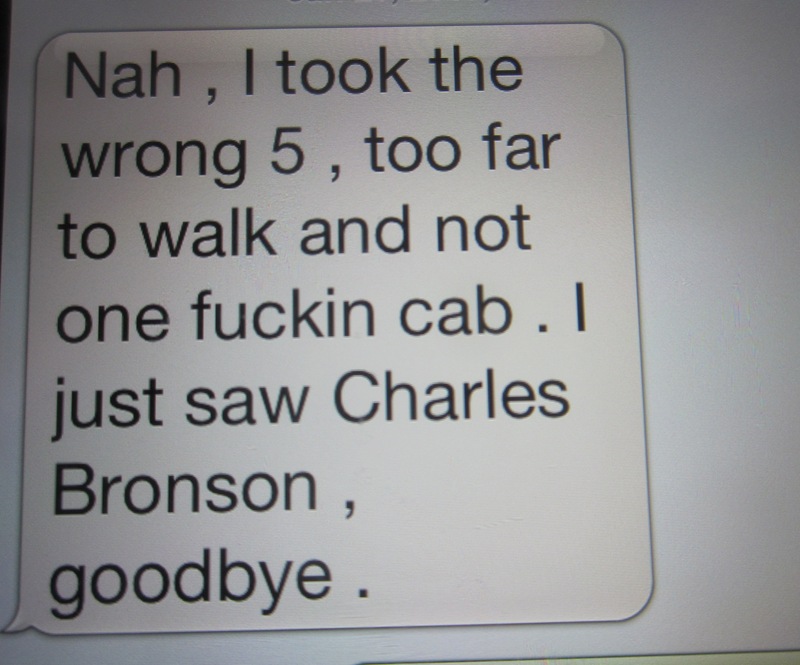 There was another text from Zio. “Men I think I’m goin home,” it read. I offered to drive him back into the city to a more convenient train to Astoria if he could get to the restaurant. It was just as well. Our food was ready and by the time Zio would have arrived they might have been out of porgy and snapper as well as ackee, saltfish and boiled dumplings. 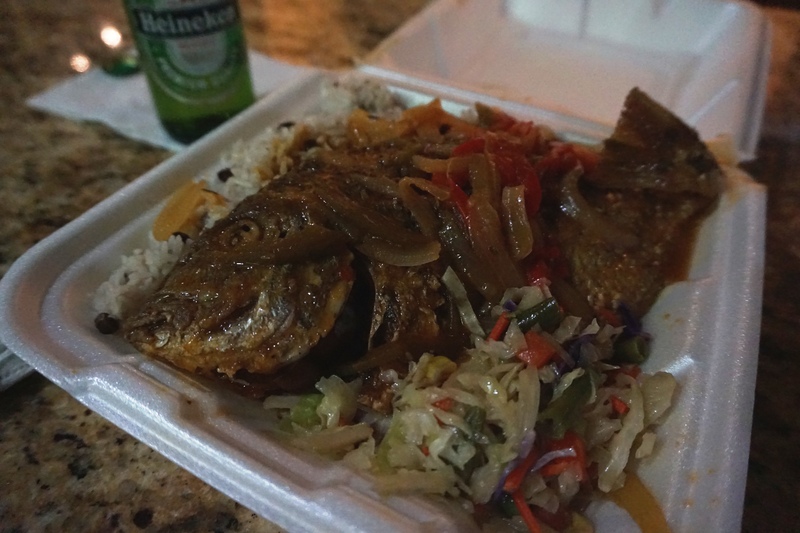 As is the tradition at Jamaican take-out places, the food was served in a Styrofoam container; the porgy laying comfortably on a bed of rice and peas adorned with steamed cabbage and other spices. The porgy was meaty and moist and was a messy adventure devouring it without also swallowing any of its many bones. Porgy served in a Styrofoam container. A box of dumplings came out. They were fried and dense, but a good offset to the fish and beer. We waited for Mike from Yonkers to cleanly excise flesh from bone on his snapper before heading out into the cold. The hum from the traffic on the New England Thruway was the pre-dominant sound as we walked to our cars. Driving onto the Thruway, I wondered if the sign of the Dumplin Shop was visible from the highway. A vision of the sign while stuck in traffic or on the way back to the city from New England or Westchester would be like a welcoming beacon and a serious temptation to pull off the road for “the best fried fish and dumplings.” As long as the Dumplin Shop still had those dumplings. 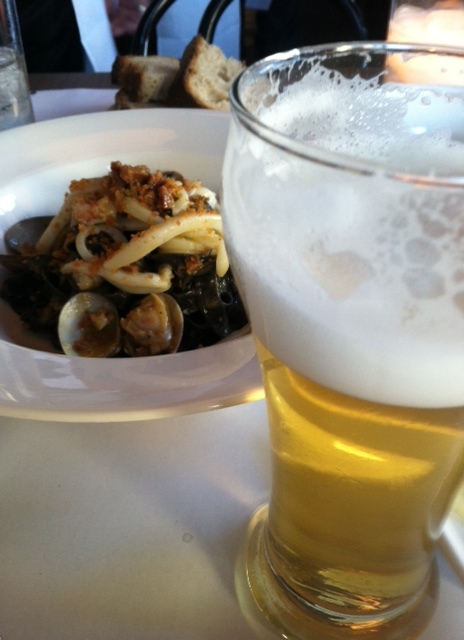 I’m sure you have often wondered what beverage might best be paired with a bowl of black ink fettuccine, cuttlefish, shrimp, clams and chorizo? Well wonder no more. In my educated and borough-biased opinion, nothing brings out the briny goodness of the dish more than the frothy essence of a cold Bronx Brewery ale. We got the email from Zio several days before we were to meet. That we were notified of his choice for our food group so far in advance was unusual for Zio. His normal procedure was to glean help from anyone he can and then, just a day or so before the assigned date, come up with a destination. So confident was he of his choice of Astoria Seafood that in his email to us he even did the research about the liquor status of the place. “They don’t serve alcohol, but you can bring your own beer,” he wrote as if beer or something stronger was one of the criteria for our group. It wasn’t, but it was nice of him to think of what was truly important to us. Eugene’s concern was more spiritual. Eating meat, he explained, also by way of email, would be in conflict with his Ash Wednesday obligations. It was too late to reschedule to Fat Tuesday, and the next day was Valentine’s Day, so we stuck with the original Ash Wednesday date and assured Eugene that since we were eating at a place called Astoria Seafood, there should be no conflict. “Yeah, and don’t worry Eugene, it’s BYOA. Bring Your Own Ash,” Gerry quipped. And so Eugene did—the ash in the middle of his forehead—its mark adding to his already shadowy complexion. 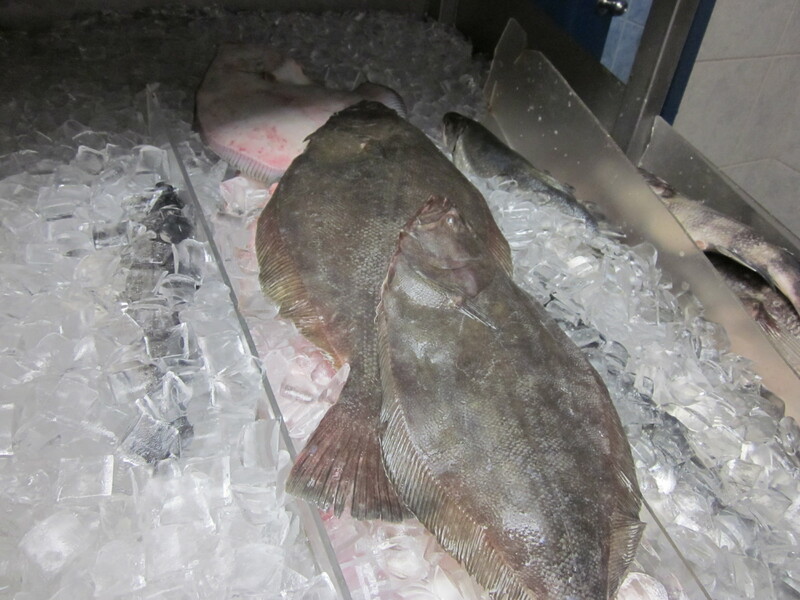 When I arrived, Zio was in the process of securing our table in the combination seafood market and restaurant. 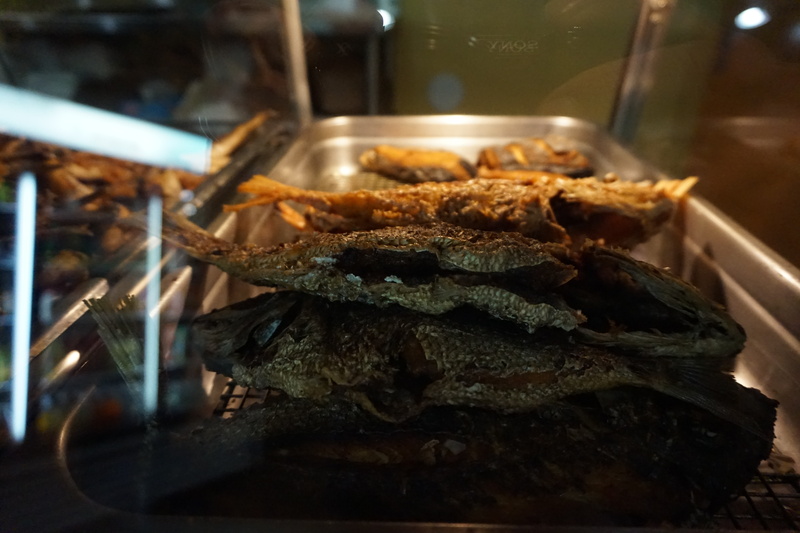 The place was bustling; maybe others were observing Ash Wednesday by confining their diet that evening to fish. I could hear Spanish, Greek, and Arabic spoken from the customers (mostly men) at the restaurant’s tables as Zio and I surveyed the offerings on ice. A young man wearing a Yankees’ baseball cap came over. “Hey, how are you? “ Zio said to him. The man smiled and stared somewhat dumbfounded. “You remember me? From the last time I was here?” Zio asked hopefully. “Oh yeah, sure I do,” the man, who said his name was Matt replied as if he actually meant it. 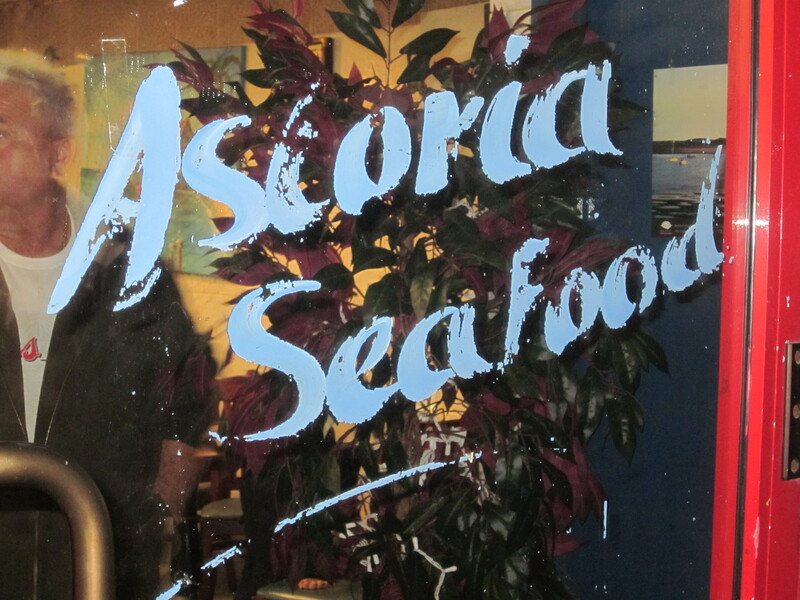 From then on, Matt served as our guide and host in the somewhat complicated maze that was Astoria Seafood. The guide of our fishing expedition. 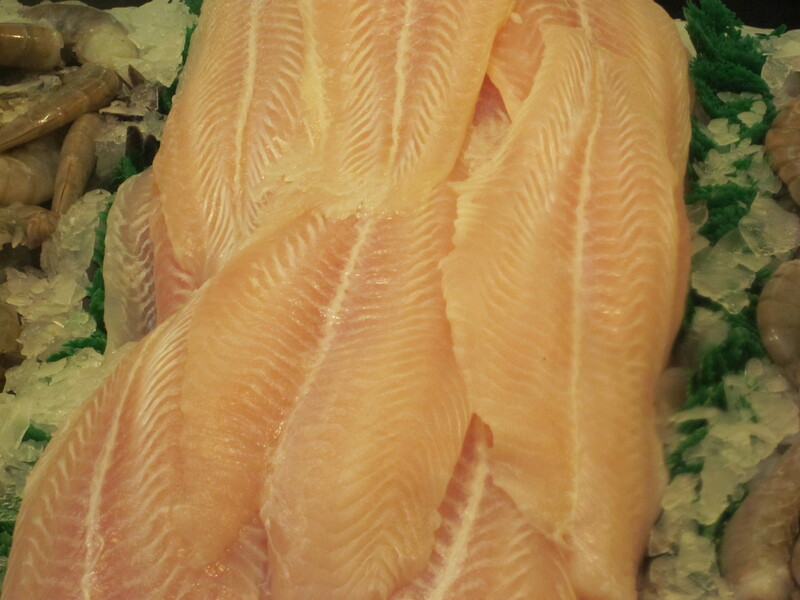 It wasn’t as easy as it sounded mainly because it was almost impossible what fish to choose much less how to prepare it. Should we stick with a whole fish? Something filleted. Fried? Broiled? Grilled? Raw? And what about shellfish? Those oysters, wherever they were from, were tempting. There were just too many options to consider. We had to go through the procedure with Gerry and Eugene, but not Mike from Yonkers, who we learned when Gerry arrived wasn’t coming and had no other excuse than that he just forgot that we were scheduled to meet. There was no word at all from Rick and after waiting about fifteen minutes, figured he was a no show as well. The next day he attributed his not being there to what he called a “brain fart,” thinking Ash Wednesday was the following week. So there were just four of us and we tried to order accordingly. Zio decided on a large freshly caught fluke that he asked to have deep fried. 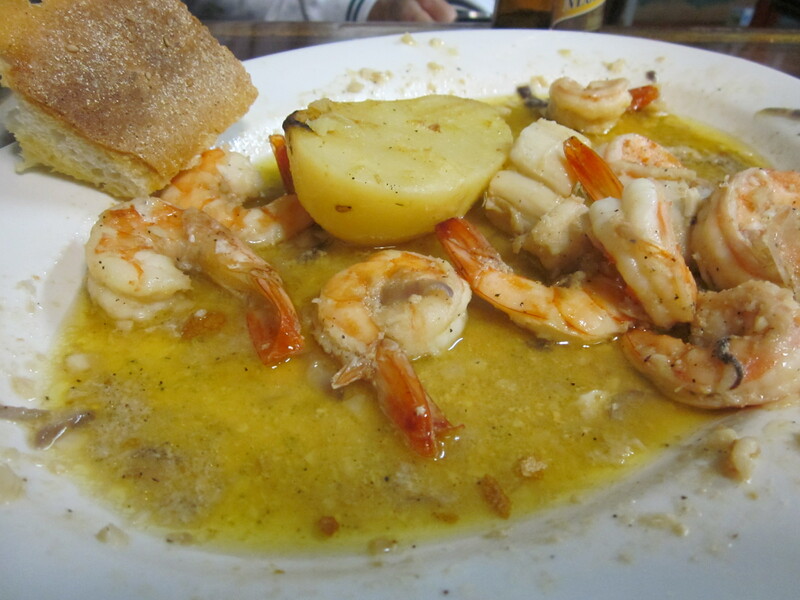 I saw others at a table sharing a platter of scallops and shrimp that looked like it was prepared scampi style. I asked Matt if he could put together a total of two pounds of shrimp and scallops and make up a scampi for us. He assured me he could. I also noticed that everyone eating at the tables were indulging in a salad served on a large platter and coated in a feta laced dressing. “We have to have one of those,” I told Zio. “Oh we will,” he said with confidence. “And what about a cup of fish soup,” I said hopefully. Matt our server looked at me. “Fish soup for all of us,” I said to him. No one argued. 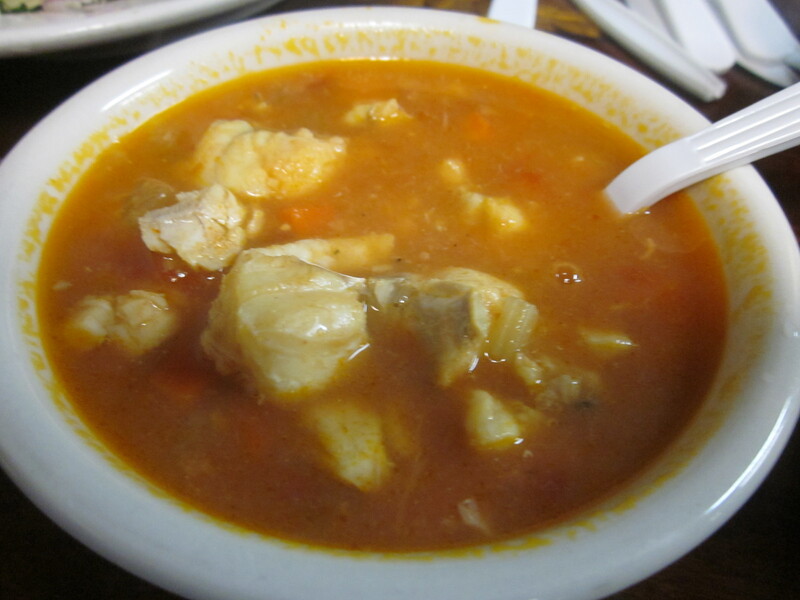 The soup came out first, a light tomato broth overflowing with pieces of white fish. “There’s a lot of fish in here,” Zio said to Matt. “I made sure of it,” he said. The salad came out next along with a platter of toasted French bread coated with olive oil. It tasted as good as it looked. 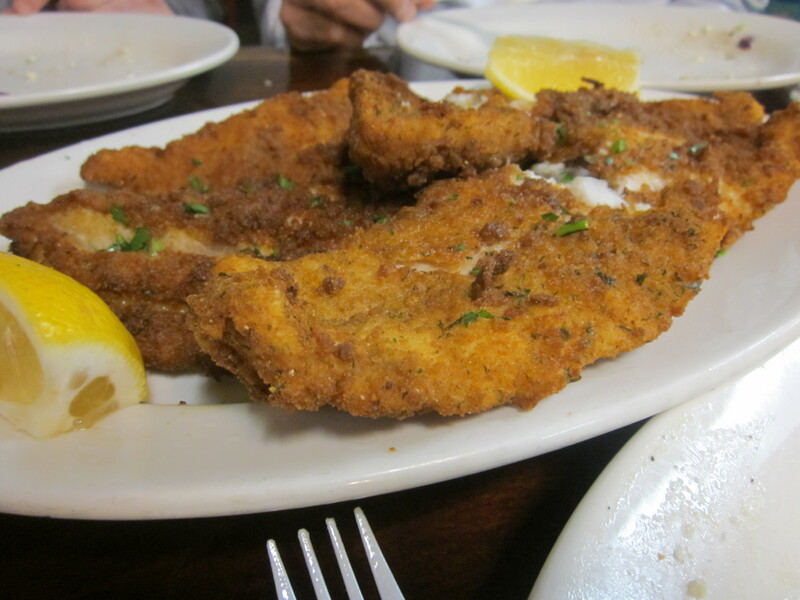 The fried fluke, filleted and battered in a light coating of bread crumbs, followed. 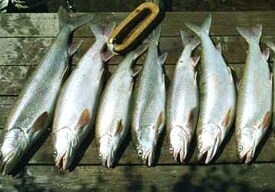 The fish was big enough to feed six, but we were just four. Not that there was a problem. We worked through it with ease. From behind the counter, one of the chefs was calling to Eugene. It was very noisy in the place and he cupped a hand to his ear. “What?” Eugene mouthed back to him. The chef called out something again and Eugene nodded. “What’s he saying,” I asked Eugene. “I have no idea,” Eugene said. Lemon potatoes? How could we resist? 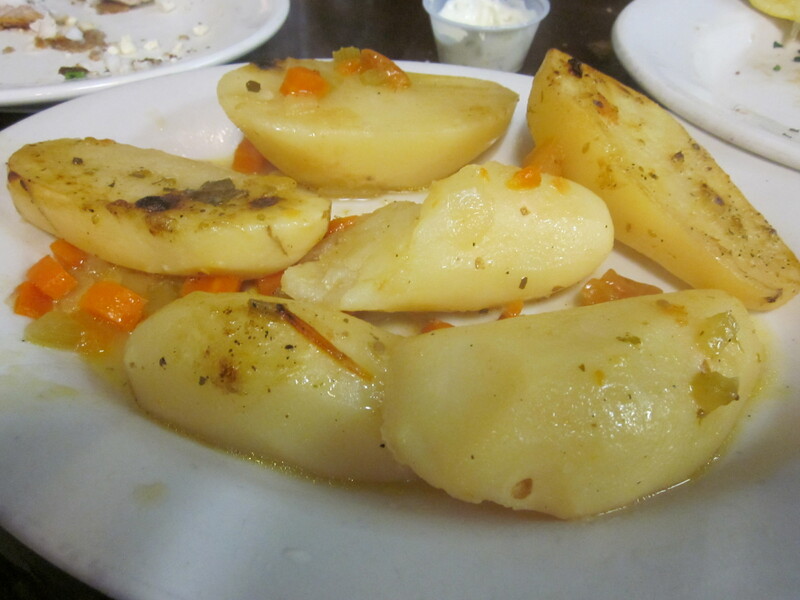 The potatoes quickly appeared, halves of skinless potatoes, tender and tinged with lemon. “I’m sure I said two pounds,” I told our group as we stared in disbelief at the quantity of crustaceans in front of us. “You did. I was there.” Zio remarked as he speared a scallop and swirled it in the sauce. 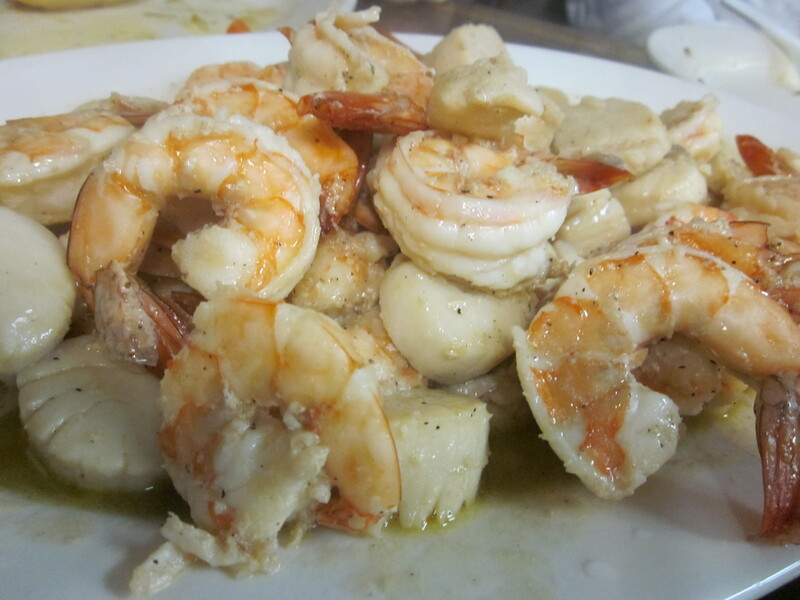 Multiple pounds of shrimp and scallops prepared scampi style. The mercury level in our blood rising fast, we were nearing exhaustion. Despite our best efforts, the four of us just could not finish the scampi. In fact, there was enough left for a substantial snack. Matt brought our tab. We were considerably over our usual budget of $20 per person. Eugene deciphered the scrawl on the tab. “They charged us for almost four pounds of shrimp and scallops,” he said shaking his head. And then we just shrugged it off. The food was very good. And we could justify going over budget because we were minus two of our members. With six in attendance we wouldn’t have had to order anything else and would have easily come close to our $20 allotment. We had the remains of the scampi wrapped up. Zios Valentine gift for the Colonel. 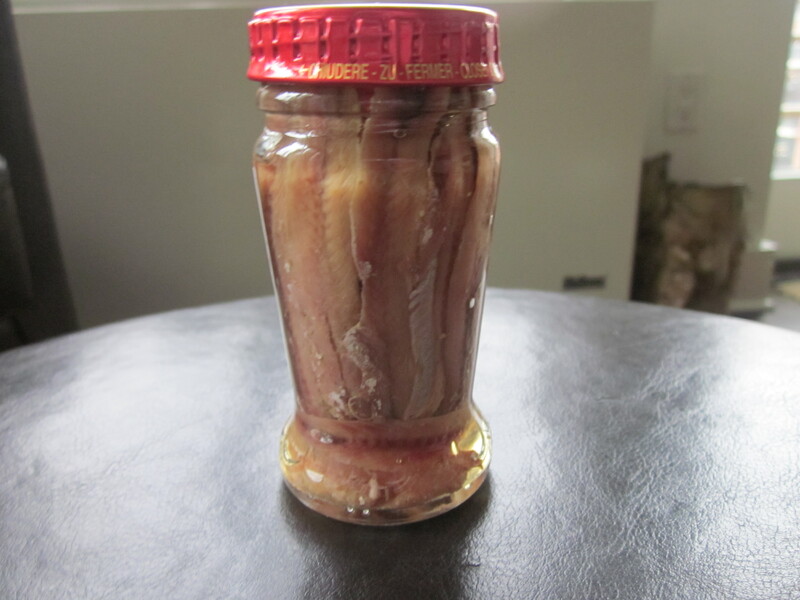 Last year, around this time, on the first anniversary of the launch of Fried Neck Bones…and Some Home Fries, I celebrated with a batch of Neck Bones Tomato Sauce, the recipe I shared on these pages (Neck Bones Anniversary Tomato Sauce). I don’t really consider myself a man of tradition, but when it comes to food, and eating, maybe I am. So to follow tradition, on this, the second anniversary of Fried Neck Bones…and Some Home Fries, I have celebrated with another pasta sauce. This one is meatless, but to compensate any lack of flavor, doused heavily with that favorite little fish; the anchovy. Speaking of traditions, the origin of my romance with the anchovy began with a Christmas Eve tradition. One of the seven fishes (Seven Fishes for Seven Dishes), prepared for that Italian feast in our family was the anchovy. My grandmother was the chef and when I was young, the featured pasta was spaghetti with anchovies. But anchovy love doesn’t come easily or immediately. The sight, smell and taste of the little brown oily and spiny fillets could cause a child to retch. I wanted no part of it and I wasn’t alone. My brothers felt the same way and instead, on Christmas Eve, we had our spaghetti with just butter and Parmesan cheese. Soon after experiencing puberty, our taste buds became more open minded and, though anchovies were still a tough sell, we graduated to the milder, white clam sauce. There was now a seafood alternative to coat the spaghetti with. I can’t pinpoint the actual date when I converted, but it was sometime in early adulthood. Soon I was actually adding a few of those fillets into my white clam sauce. There was definitely something about that stinky fishy fish that was working magic in my mouth. Friends looked at me in horror when I began to, voluntarily, decorate my slices of pizza with the fillets. 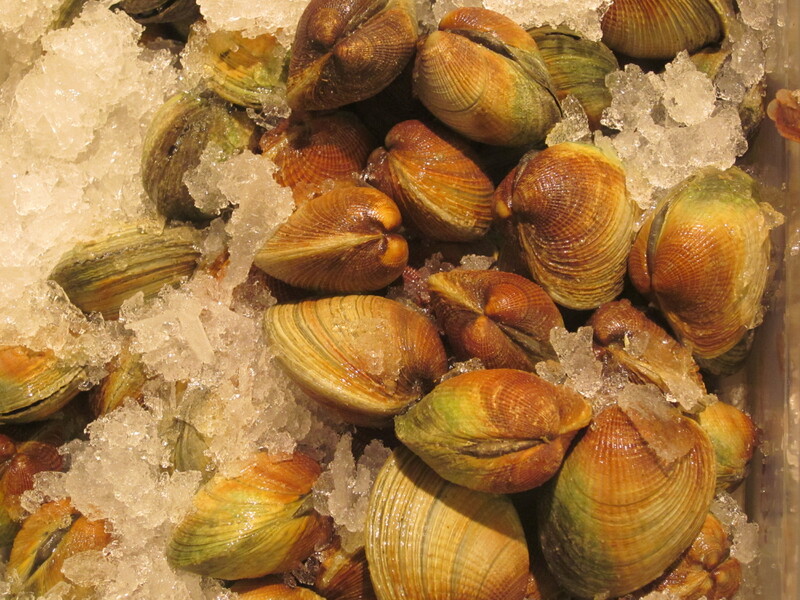 It wasn’t long before, given the choice on Christmas Eve, I would take the anchovy sauce before the white clam. The romance was on and grows stronger with each year. There is no chance I eat spaghetti with anchovies just on Christmas Eve. It’s now a treat I prepare every couple of months—and a simple, inexpensive one at that. I’m sure many of you might have a prejudice against the anchovy stemming from early encounters when, like me, your sense of taste just wasn’t ready for such an assault of flavor. Try to move past that prejudice and give the little fish another chance. 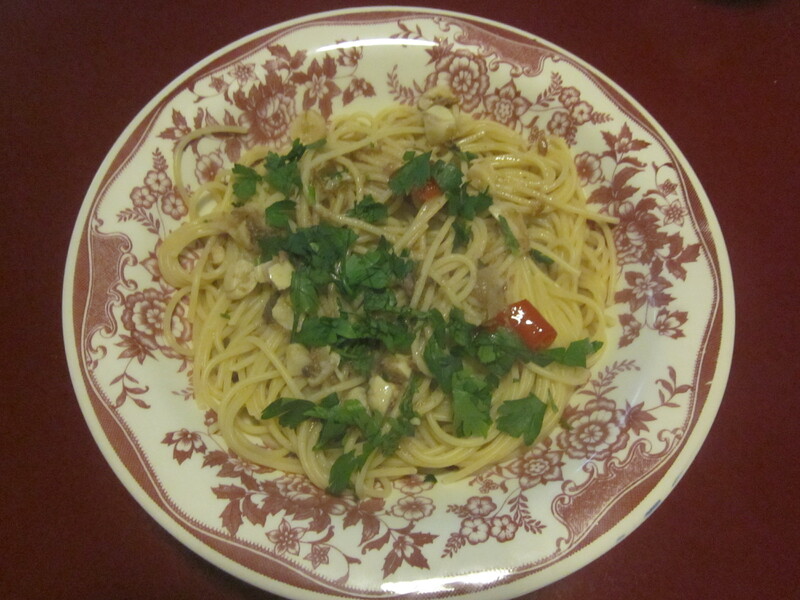 And here, to lead you on to the path of anchovy righteousness is my recipe for Spaghetti with Anchovies. 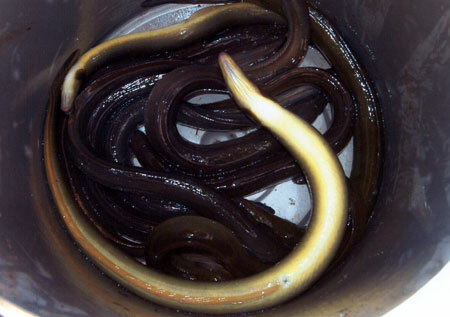 Some of the ingredients for spaghetti with anchovies. *Anchovies come in several forms. There are the tins or bottles in olive oil, or they can be bought packed in salt. 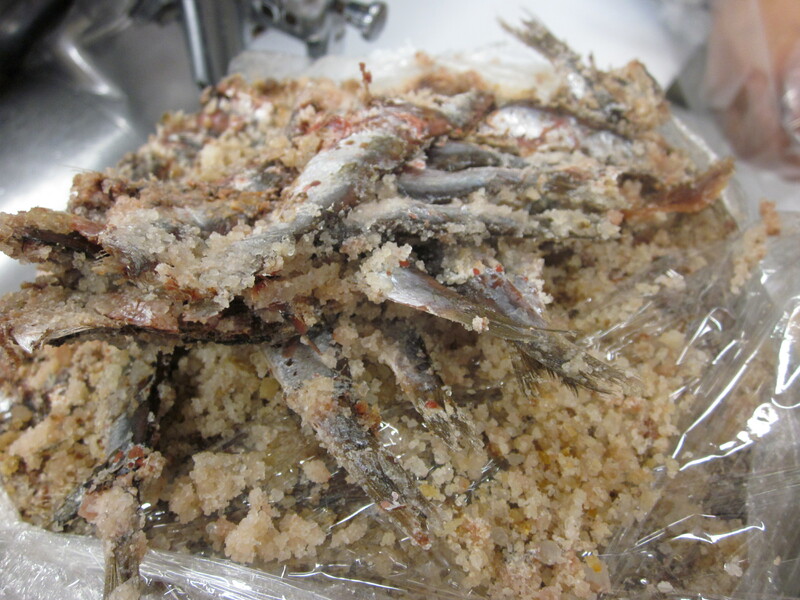 The anchovies packed in salt are the most desired, but also the most expensive and most work. 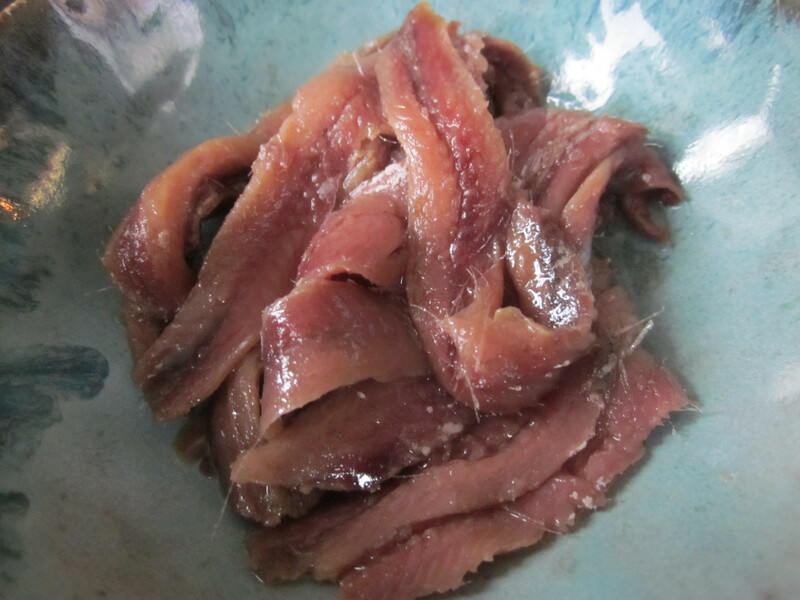 The salt packed anchovies need to be rinsed under cold water and then cleaned of the tail and whatever guts might still be attached. Sounds disgusting, but worth the effort in the long run. For this recipe, however, I used imported Italian anchovies from a jar and they’ll do just fine. 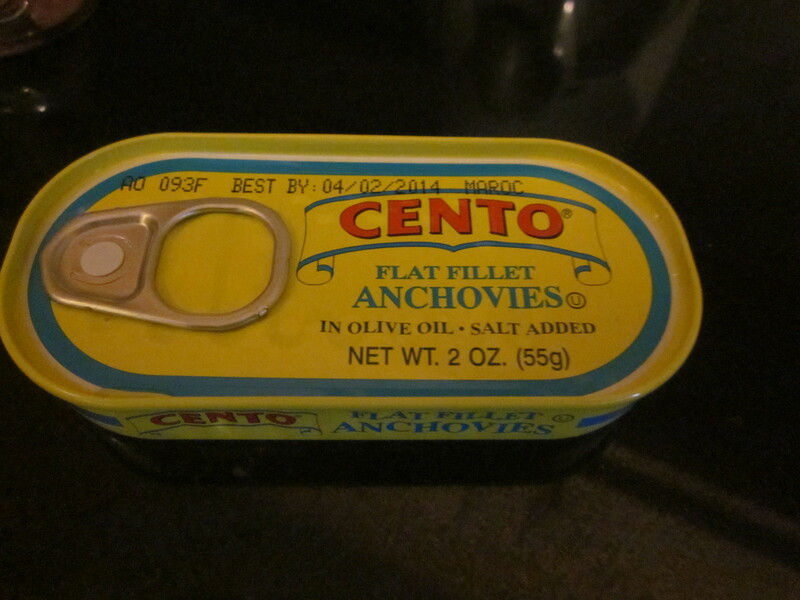 The anchovies found in the tins work too, but are not quite up to the quality you will find in the jar or salt packed. **The finer you chop or mince garlic, the stronger the taste. For this dish, which already is overflowing with flavor from the anchovies and red pepper, I like a milder taste from the garlic so I keep the pieces coarsely chopped, rather than fine. In a skillet, heat the oil on a medium flame. Add the garlic, but do not brown. 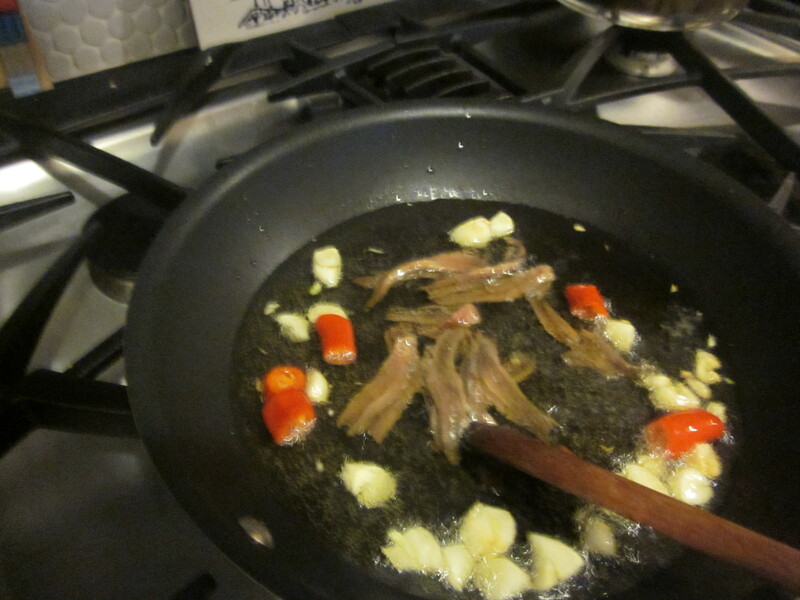 Toss in the red pepper, cook for a minute and then add the anchovies. There will be sizzling. 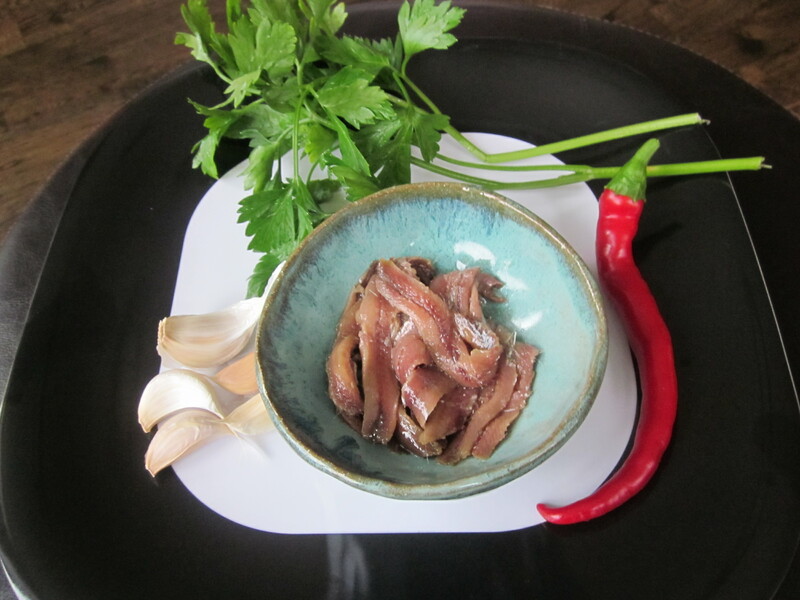 Stir the anchovies around the oil, breaking them up with a wooden spoon. Add the white wine or water and lower the heat. Once the sauce simmers, stir again until the anchovies have melted into the liquid forming a brown, almost gravy-like sauce. 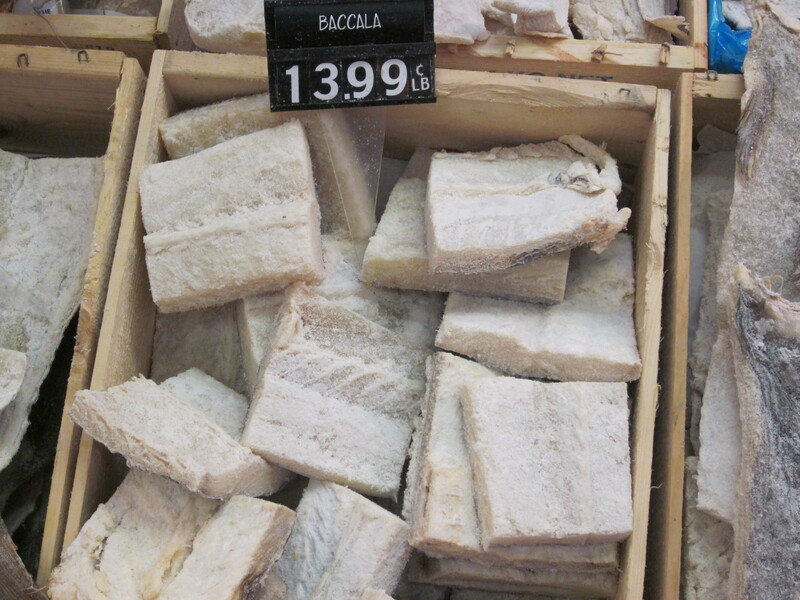 It should look a little like the Piedmontese specialty bagna cauda. Taste and if it is too strong, add more water or wine. The sauce is now ready for serving. Cook the spaghetti al dente, drain, and then add the sauce, topping with the fresh parsley. If you are an anchovy fanatic, like my father, you might want to also add a few extra uncooked fillets on top of your bowl. Though the pasta police prohibit grated parmigiano Reggiano or Romano cheese on seafood sauces, if you choose to indulge, you have my word that I won’t report you. When you are on vacation in Cape Cod, there is always the possibility of a rainy day. And that strikes fear into the hearts of parents who dread the prospect of having to entertain their children in cozy cottage confines. Besides resorting to making another Cape Codder (see Vodka Amongst the Cranberries), there is another option. To escape the hysteria from cabin fever, volunteer, grudgingly at first, to drive out into the deluge in search of lunch. 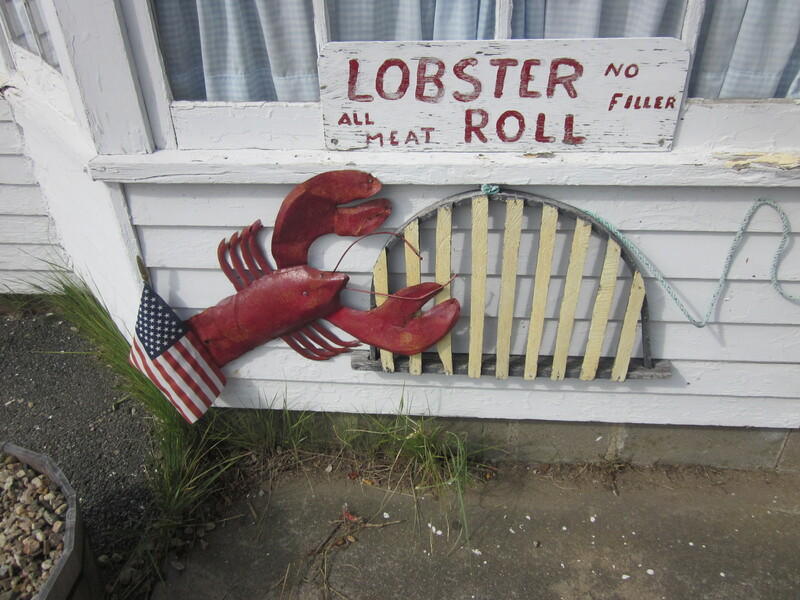 When you do, you will soon be greeted, as I was, by a number of lobster roll options. 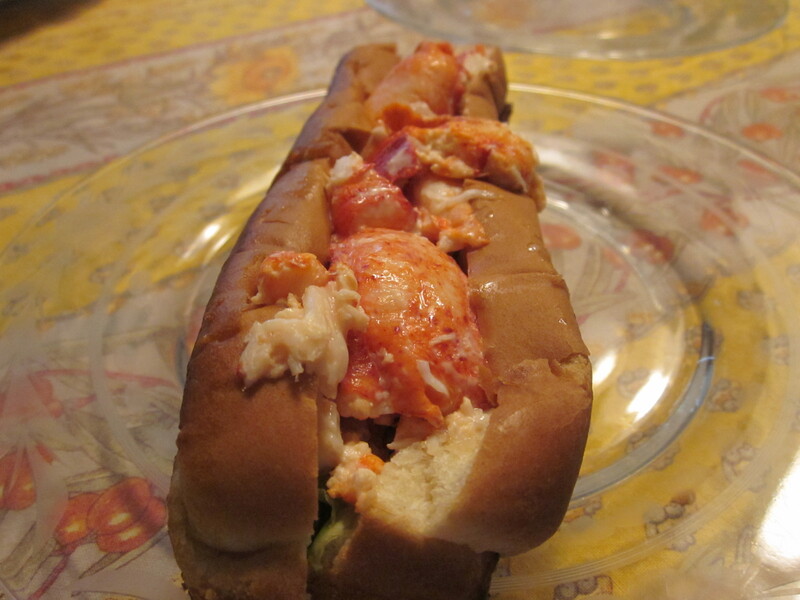 Lobster rolls, of course, will, not only get the family to temporarily forget about the rainy day blues but your stature within the family will be elevated to hero status. First you notice the $7.99 option at a small market. And then just down the road, there is the $8.49 offering at a deli. But you remember the $10 lobster rolls you had the previous year on the Cape and there was certainly nothing wrong with those. The choices have you in a quandary and you almost drive off the road. I’ll take two specials, please. Being the decisive man you are, however, you know what you have to do. You pull into the market and order two of the $7.99 offerings. 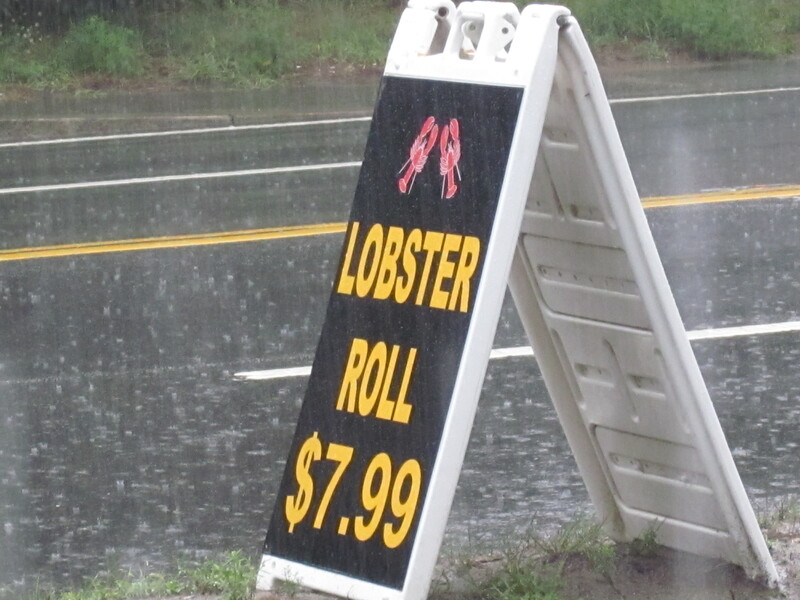 Dodging the raindrops, you get back into your car and drive down to the deli where two young men with thick Russian accents brag that their lobsters rolls are the best on the Cape. “You’ve sold me,” you tell them. 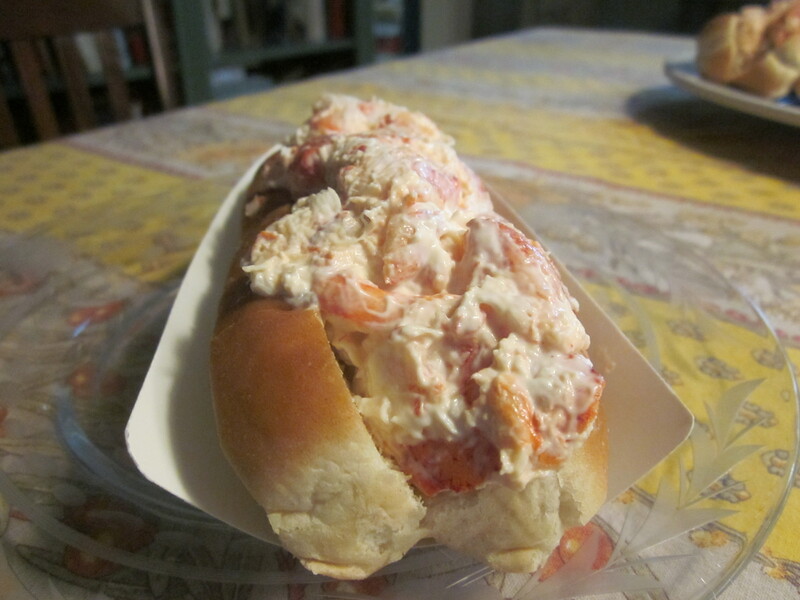 Finally, you return to the seafood shack where you went the previous year and order two of the reliable $10 lobster rolls—just in case the Russians were wrong. Your bounty now in three separate bags, you have delicious incentive to return to the madness that is a Cape Cod cottage on a rainy day. 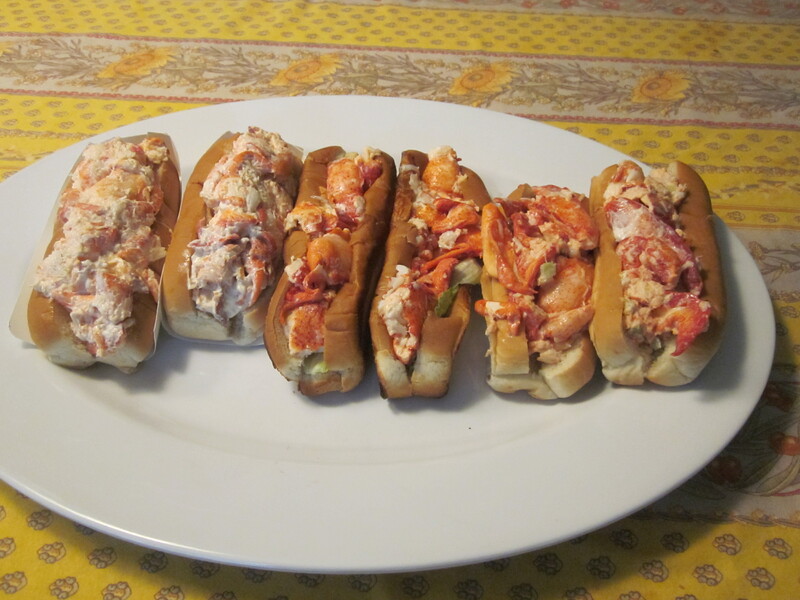 Preventing any skirmishes, you cut the lobster rolls in half so everyone can taste one of each. The least expensive, $7.99 option*, despite the added bonus of the hot dog roll being toasted, got the fewest accolades. 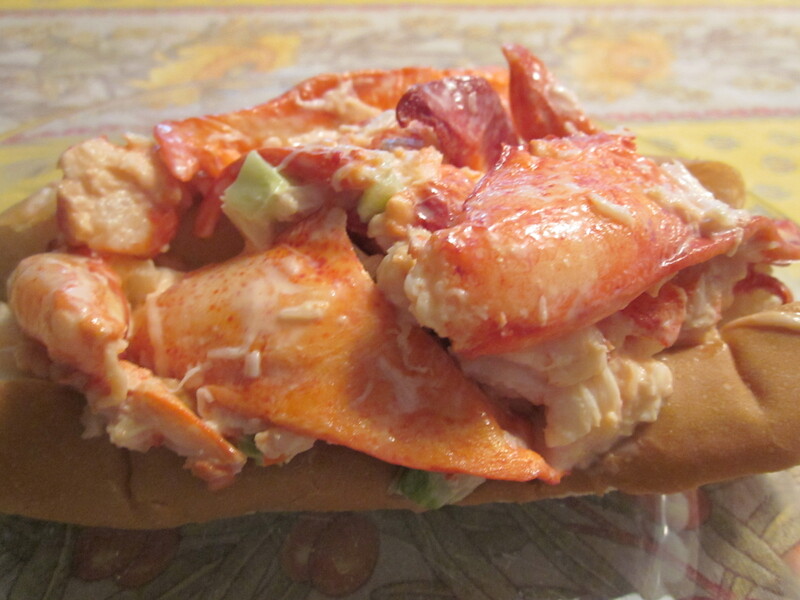 The toasted bun lobster roll from Nauset Market. 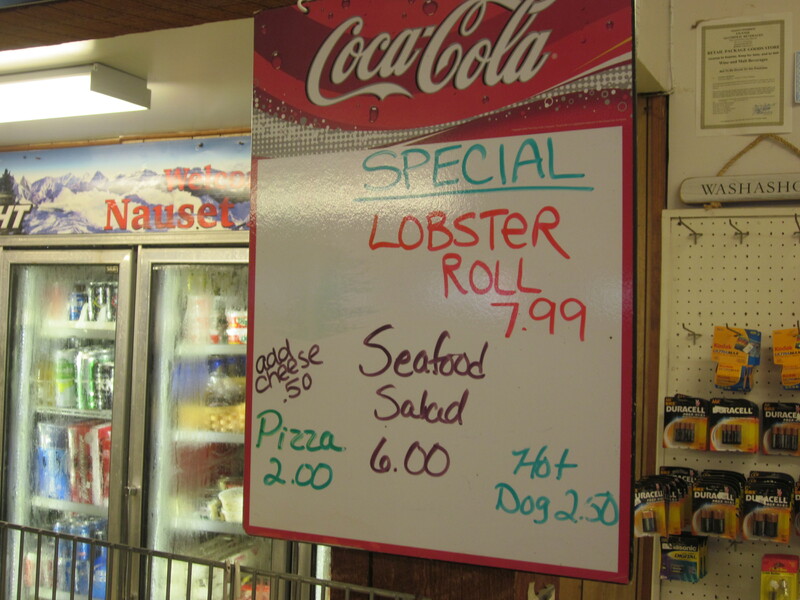 The $8.49** lobster roll, though bursting with meat and light on the mayonnaise, was not, the Russian opinion aside, “the best lobster roll on the Cape. It was, however, very good. The Russians didn’t say that there would be anything “green” in the “best lobster roll on the Cape.” Not that I’m complaining. 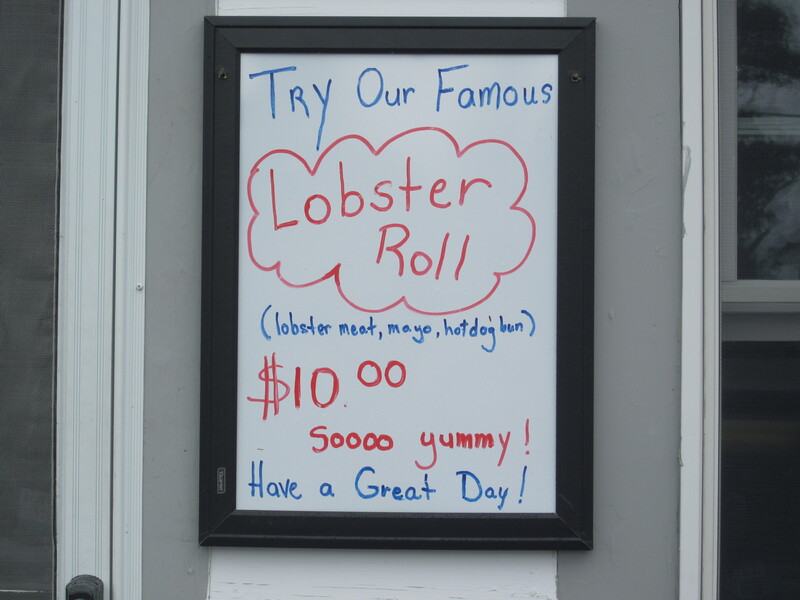 The clear winner was the priciest at $10***, but the added two dollars resulted in a lobster roll bursting with meat and though a tad heavy on the mayonnaise, the best of the three. A bit heavy on the mayo, but made up for by the abundance of fresh lobster meat. 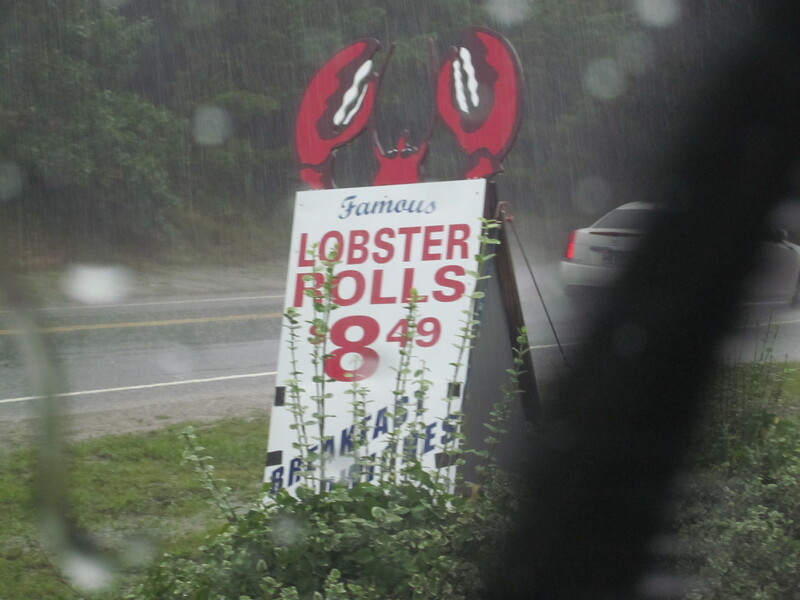 By the time the lobster rolls are consumed, the rain will have stopped. The doors will open and the soothing and constant sound of a basketball clanging against a backboard will replace the inside board game bickering. Before long it will be time to ponder a pre-dinner Cape Codder. I only eat from the sea. it’s just what they say. To make sure it’s true. 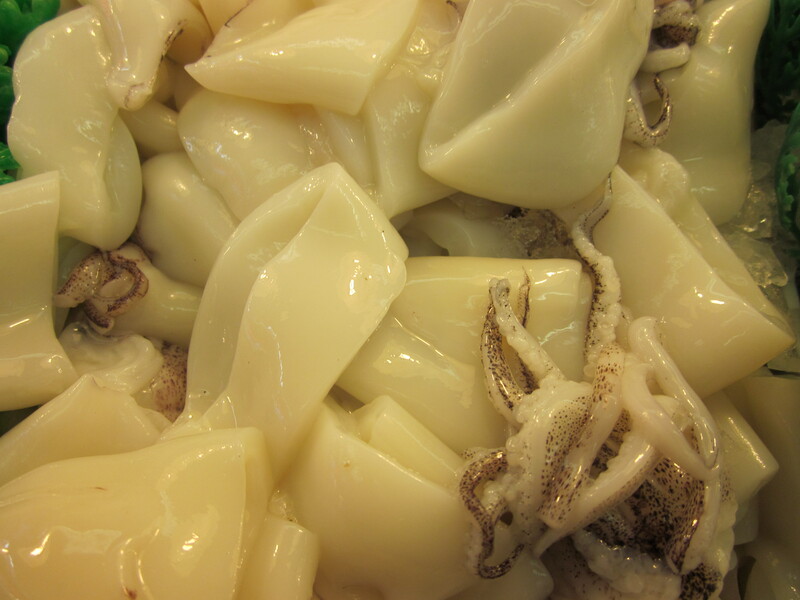 They call it squid, but it’s calamari we know. Cook it fast or cook it slow. and it’s a no go. Stuff with breadcrumbs, parsley and nuts. but don’t eat too much. I know, it’s a funny word. and maybe drizzle with lime. it looks like a snake. this fish is not for everyone’s taste. Be careful there are bones. ‘cause it’s got a slimy body and a prickly tail. makes up for any good looks it lacks. Dissolve in hot olive oil with garlic, of course. to line up at the trough. Four dishes done, three more to go. can become quite a show. a chef could get jumpy. the one that no one complains. It comes in all sizes, this mollusk of grey. Clean them and make sure the sand is all gone. 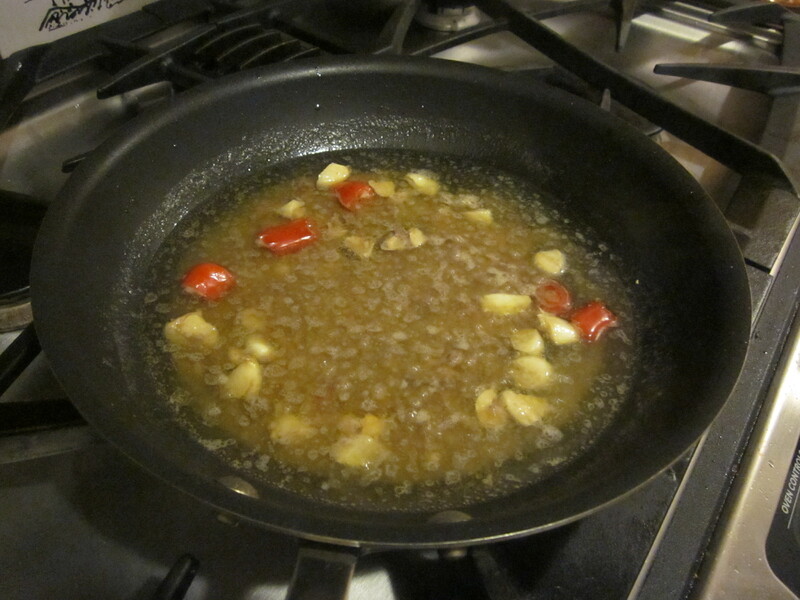 Add to a pot with oil, garlic and white wine. they will release their magical brine. with a clam this teeny. a few times or more. it can be a chore. soon the tender flesh will flake. 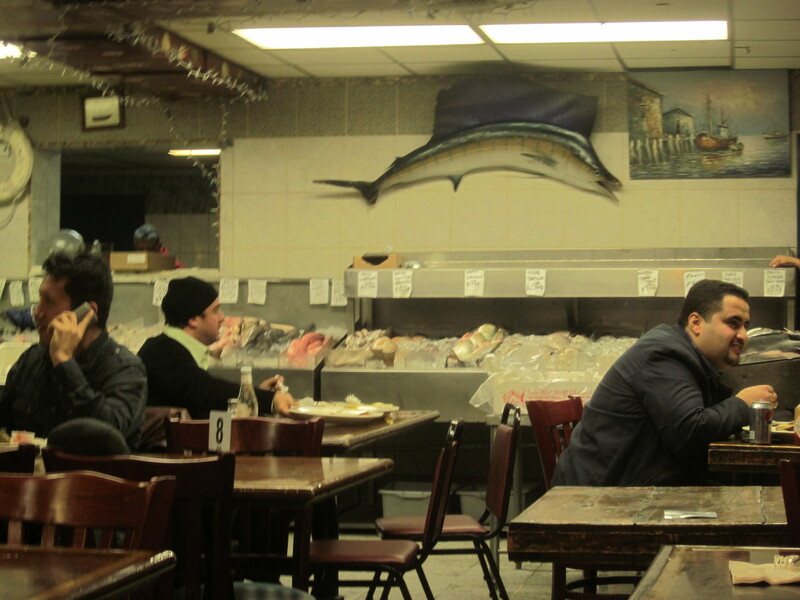 all seven fishes you’ve tried. But now your mercury level is high. because Christmas comes the very next day. There will be more food. will include juicy red meat.